SINGAPORE, Nov. 8, 2018 /PRNewswire/ -- AAR (NYSE:AIR), a global provider of aftermarket aviation services for commercial airlines, signed a long-term contract with Ameco, a world MRO expert in RB211 repair and disassembly on Wednesday at MRO APAC. The deal positions AAR to provide long-term support to customers in the market for this Rolls-Royce engine. The agreement includes AAR's cooperation with Ameco to provide RB211 repair/exchange and leasing services, highlighting AAR's flexibility for its customers in more than 100 countries around the world. 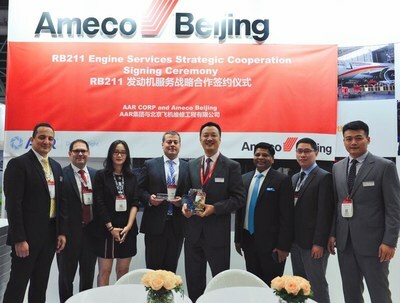 "We admire Ameco's outstanding reputation as China's largest RB211 shop," said Sal Marino, Senior Vice President Aviation Services, AAR. "This agreement is another example of AAR's success in expanding relationships within the Asia Pacific region." "We are looking forward to a long and stable partnership with AAR," said Bin Teng, General Manager of Marketing and Sales, Ameco. 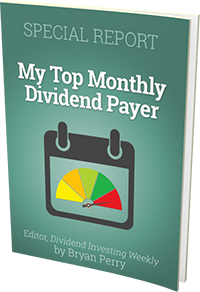 "Our relationship will prove beneficial to both parties over the next 15 years." Ameco (Aircraft Maintenance and Engineering Corporation) is the biggest provider of technical support services for aircraft in China. The company, which was founded in 1989, is a joint venture between Air China (75%) and Lufthansa Technik (25%). Ameco specializes in the maintenance, repair and overhaul (MRO) of aircraft, engines, LDG, APU and components, as well as business jet completion and maintenance. Additional information can be found at www.ameco.com.cn.